With mood lights you can light the room with yellow sunshine when it grey outside, or paint the walls with a leafy green light to create a nature like setting. 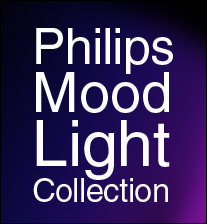 A popular choice is the Philips mood light collection. The favorite out of the collection is their LivingColors LED Mood Light Lamp. It can produce up to 16 million different shades of colors, by scrolling the color wheel on the remote control. With the remote you can also control the brightness and saturation of the light. It is powered by 7 LED lights and has 2 light settings: 1) your color choice or 2) automatic mode where the lamp fades through the colors. The lamp has a modern design – a translucent sphere, and the cone shape interior design draws heat away from the LEDs allowing it to last longer. You can also find this same Philips LED mood light design as a wall light, ceiling light and floor lamp. Here is an example of it as a ceiling light. 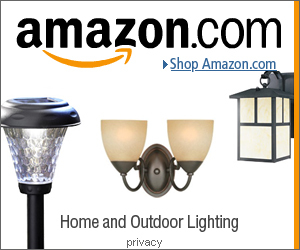 The same features apply to the LED Lamp above – changing colors, remote control, etc. You can find both the ceiling light and the Conic mood lamp at the Philips UK Amazon Store. Here is something different: a color changing vase. The Philips LUMIWARE Vase has 8 light colors to choose from, or can be set onto a continuous loop to cycle through all of the colors. You have the option to plug it in or make use of the battery power which lasts up to 12 hours. It is waterproof so you can fill it up with water and it works outdoors too. Lastly we have the Philips Imageo which are LED color changing table lanterns. It is cheapest out of all of the Philips mood lights, at $44. It comes as a set of two, and they can be plugged into the base station or taken around as lanterns as they are also battery powered. They make for great kids night light, which they can also take to the bathroom in the middle of the night as most kids won’t be able to reach the light switch. You can buy the Philips LED Vase and Imageo Lanterns here. A great alternative to a complete mood lamp is to use these remote control light bulbs that you can plug into a normal light socket.